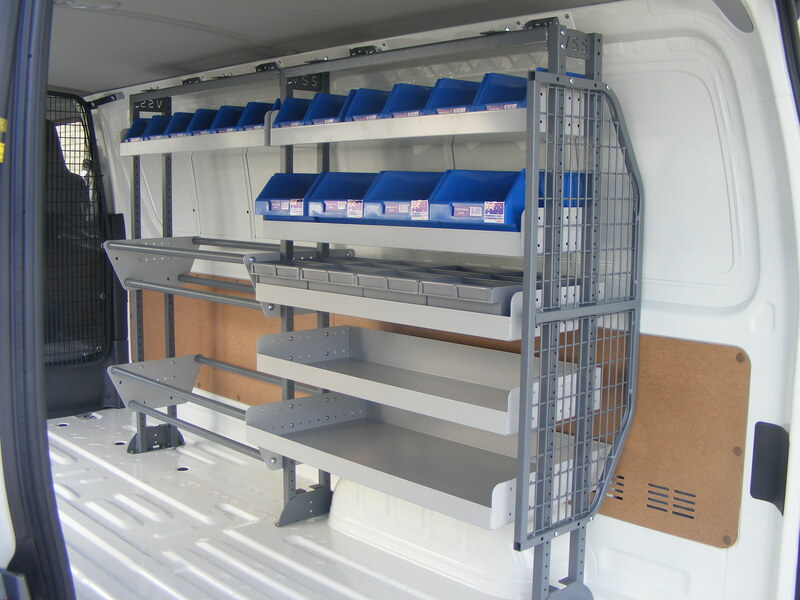 If you are a Tradesman that likes to be organized and time efficient instead of wasting precious time searching your van for the right fitting, then we have all the options when it comes to tradesman racking. 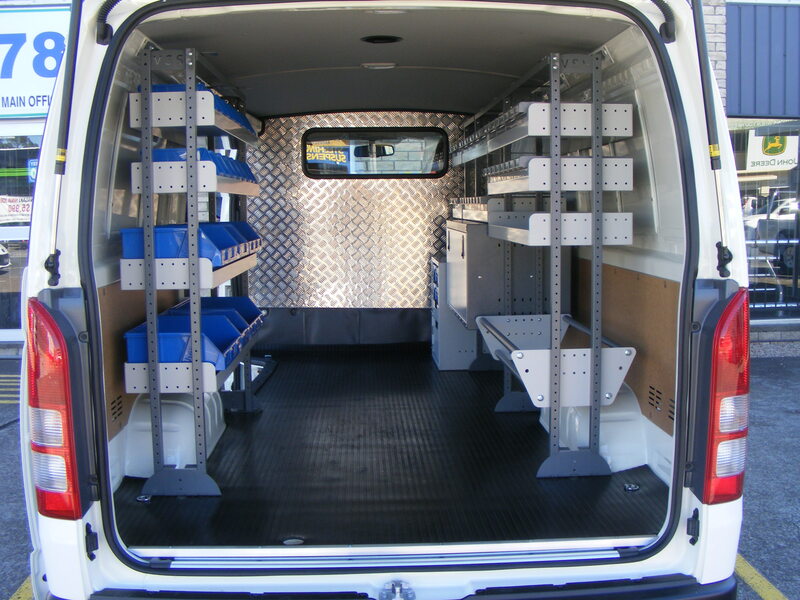 We can create the specific fit out to suit you. When the standard ready made racking will just not suit. 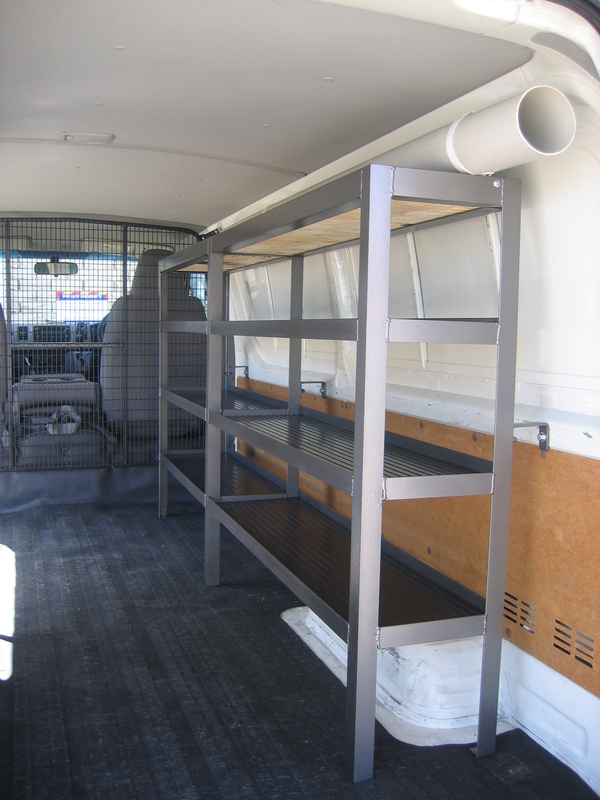 We can custom fabricate a framework to carry just about anything you think you can fit into a van, such as odd shaped shelving, gas bottle storage, racks to hold art works or flowers, we are only limited by your imagination. 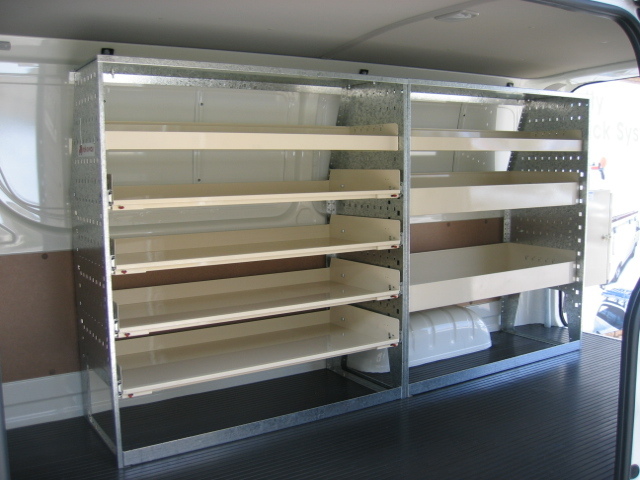 Have two options for van shelving, Frame shelving or Panel shelving. Both designs allow for easy to change storage trays in seconds. 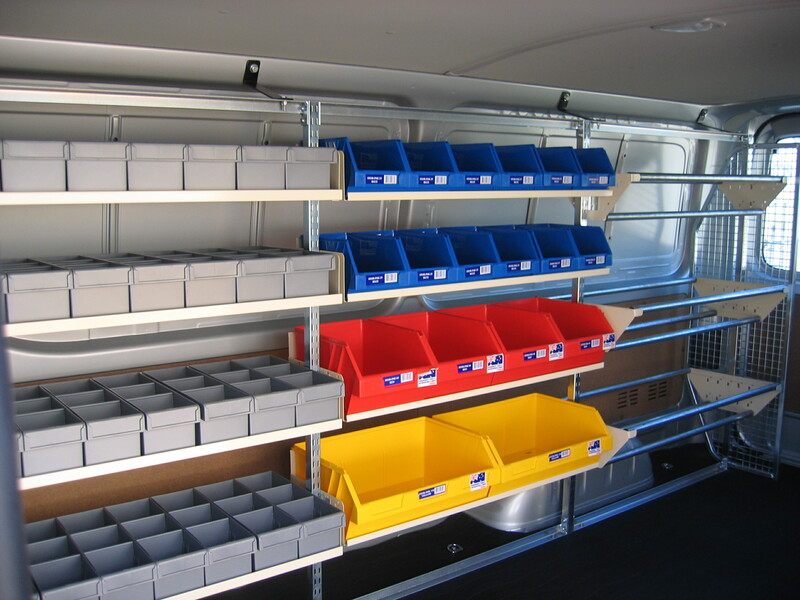 Frame Shelving is a medium duty storage system with a load rating of 20kgs per tray with 4 length variations. 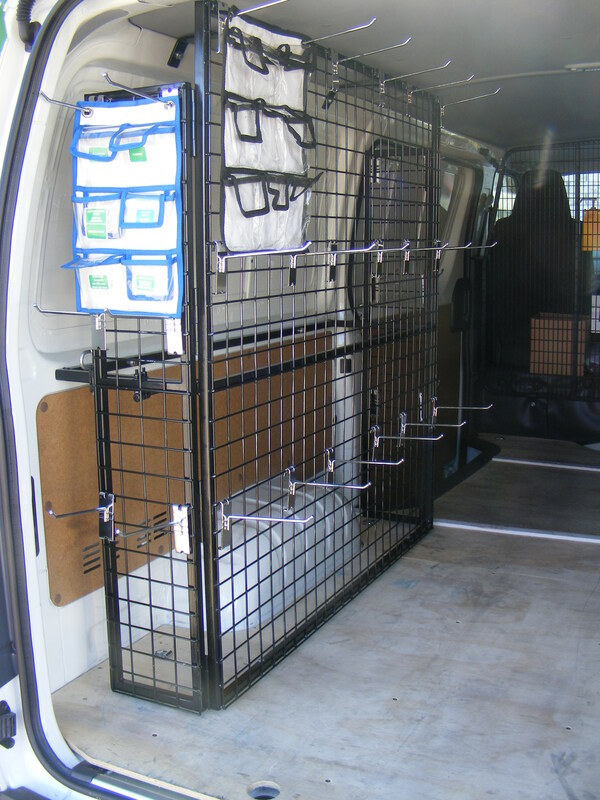 Rak A Van offer a wide range of storage options including mesh end panels (great to tie off too), fully lockable trays or Visi Pak bins for that person that has to carry a lot of small items. 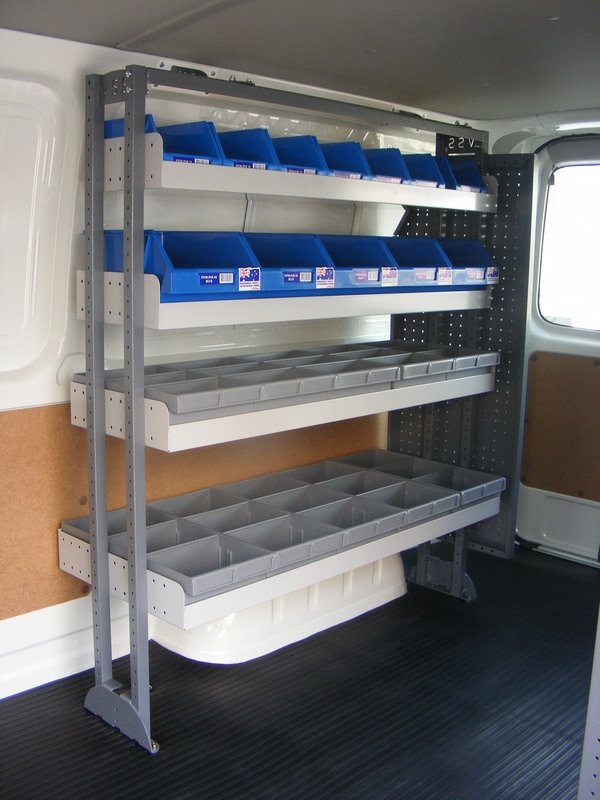 Panel Shelving is the heavy duty storage system with a load rating of 50kgs per tray, also with 4 length variations. 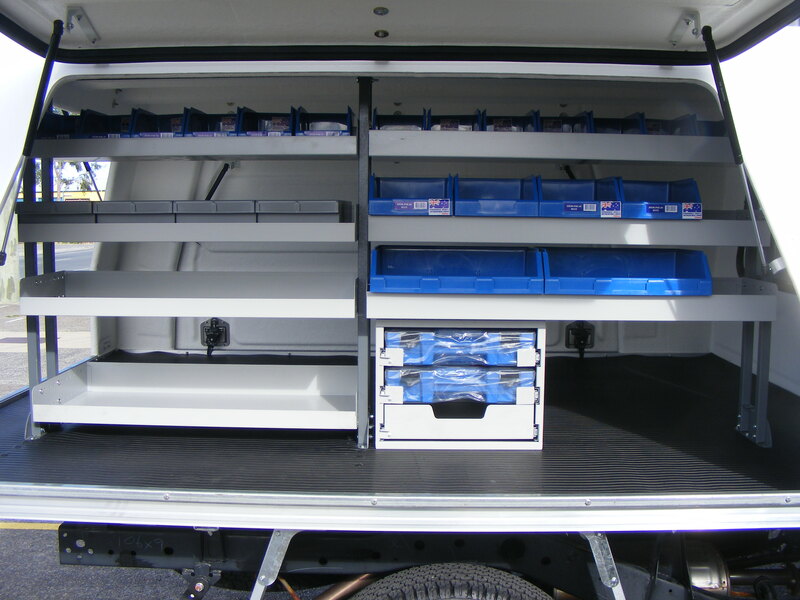 The panel shelving also offers pull out drawer systems and roller shutters for that more up market look. 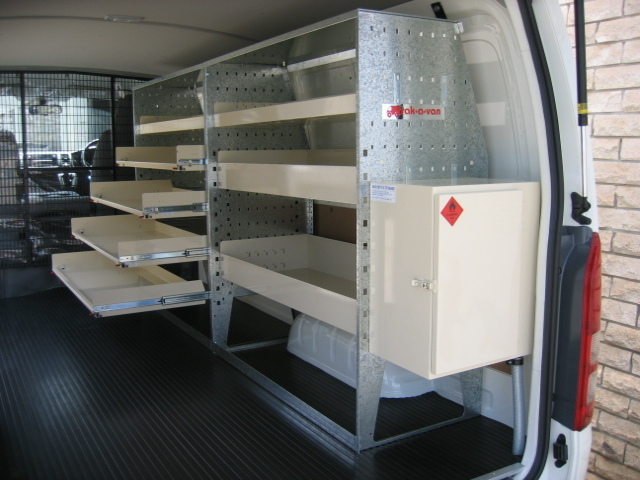 Van Storage Systems are made in Australia with Australian products. 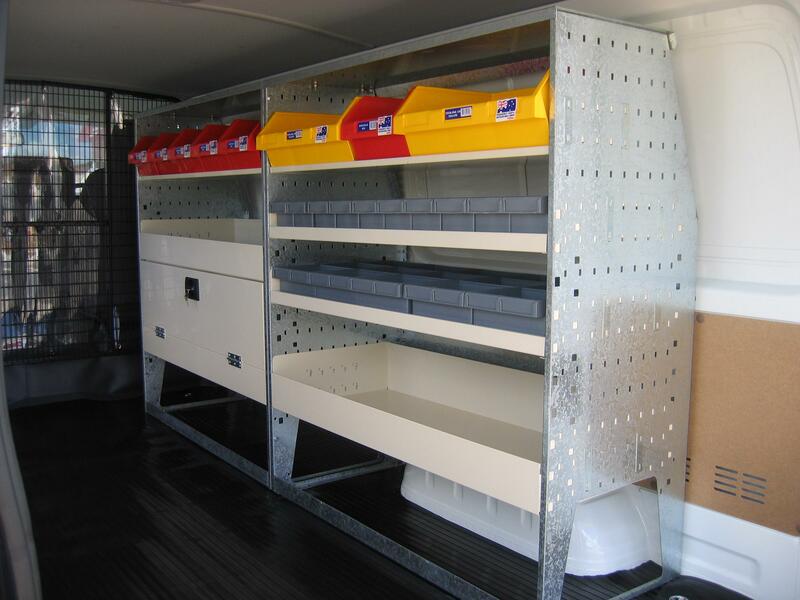 Their shelving has passed the ADR42/03 ” General Safety Requirements” ensuring their product is durable, reliable, secure and capable to withstand ongoing every-day-use.